Overstuffed totes full of train tickets, receipts and tissues – we've all got one. But when you've got a few too many bits and bobs to keep track of, reach for this soft, grained-leather pouch for your essentials. 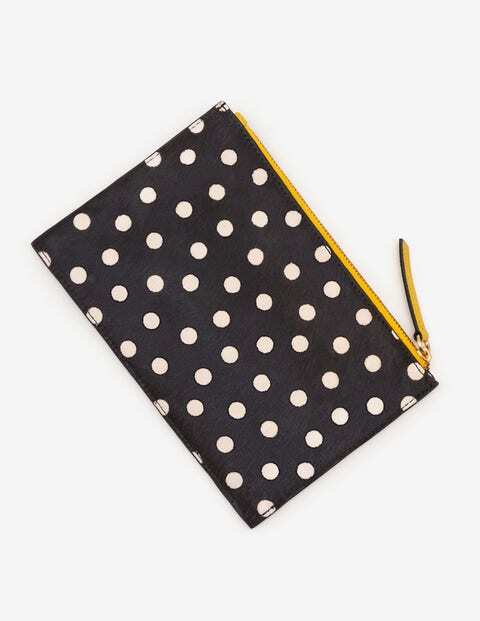 Carry it as a stylish clutch on date night or look all polished business traveller by storing your documents inside.